This one-piece barrier system is the most commonly used stackable road barrier by the utilities sector. It’s also known as a Chapter 8 barrier. It comes fitted with a red and white reflective strip, making it visible to both pedestrian and vehicle traffic. 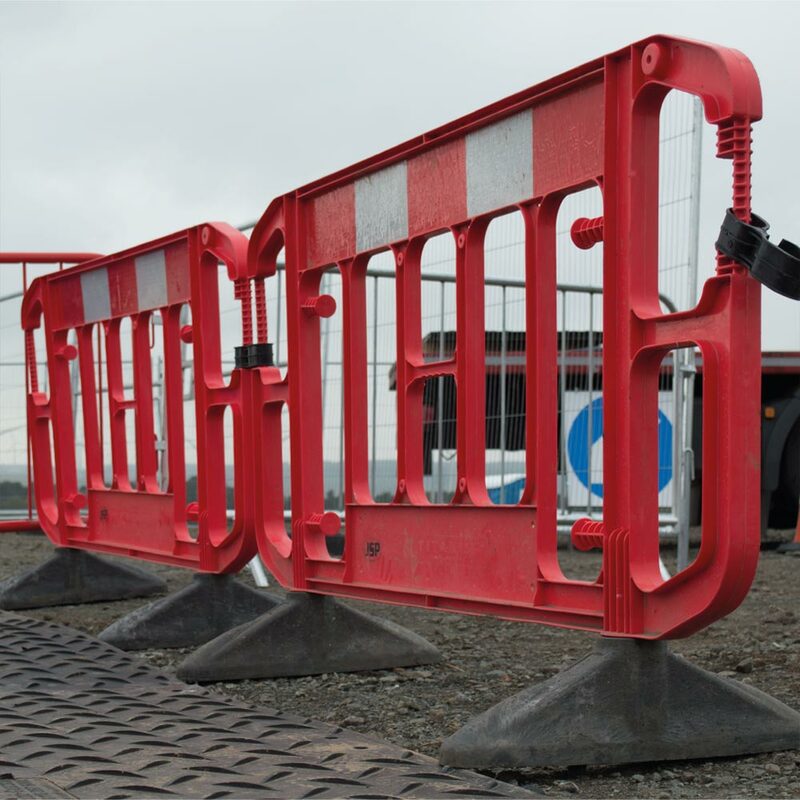 The one-piece barrier system is manufactured with virgin polypropylene as standard. This makes our barrier systems more durable as it’s built to perform better and to last in adverse conditions. The one-piece traffic barrier system is designed to allow the feet to be folded level with the barrier for ease of stacking. 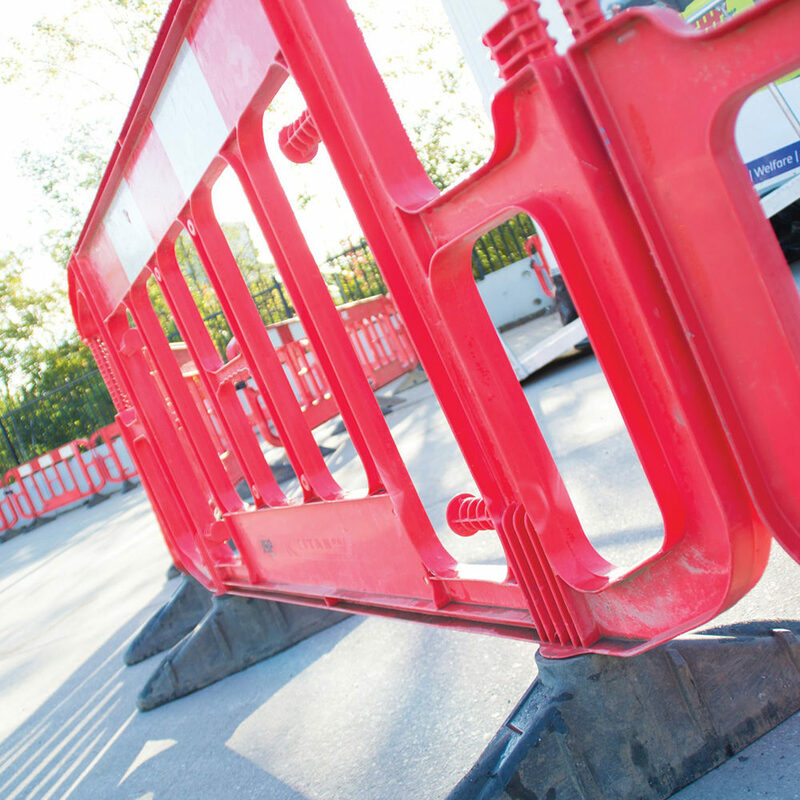 This also helps when moving the barriers to and from your site. The feet are then turned 90 degrees when deployed to ensure they are stable and suitable for utilisation. One-piece barrier systems comes with anti-trip feet as standard which has a new scalloped design to prevent pedestrian/worker accidents. They are painted in a high visibility yellow and feature two reflectors per foot for extra visibility in low light situations. This plastic barrier is 100% recyclable. This removes the need for landfill costs when the barrier comes to the end of its working life. The barriers can also come in bespoke customised options to get the look on your site just right, which comes at an additional cost. Please note there is a minimum order value of 20 panels per transaction. Can’t find what you’re looking for? Contact us now.